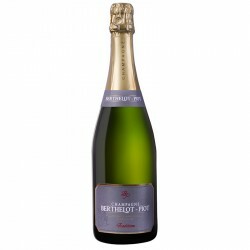 This Champagne a sparkling colour reminiscent of white gold. The fine subtle effervescence reveals a myriad of tiny bubbles. The nose is fresh on notes of lime and grapefruit. When the wine breathes, scents of bergamot and roasted notes arrive. The attack in the mouth is tangy with citrus and subtle mocha scents at the finish. The carefully balanced dosage of this cuvée gives it a finesse and subtlety that stands the test of time.